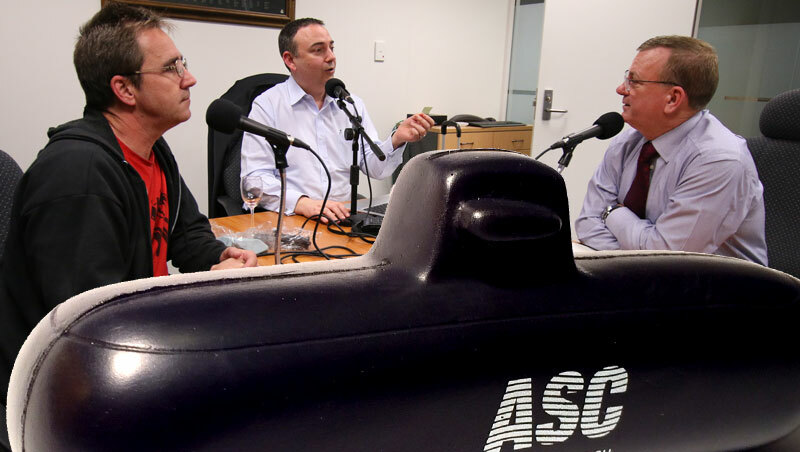 With South Australia’s economy treading water and facing some rough seas, we talk to Chris Burns from the Defence Teaming Centre about the prospect of this state being the base for building Australia’s next fleet of submarines. Chris has been talking with the Japanese, French and Germans, and has some insights to share. Chris also shares insights into submarine design around the world, rivalries between the different branches of our defence forces, political interference in the defence industry, and favourite submarine movies. In IS IT NEWS, Nigel tests us on the theme, Submarines. Our SA Drink of the week is a Shiraz from the Coonawarra. George Inglis reflects on this tumultuous week in politics. In music, we hear a song launched this week by Ollie English. Balnaves of Coonawarra 2010 Shiraz. Tasting notes. This week: Is swimming the answer to your problems? Will we or won’t we? That is the question that galvanises many South Australians into unity; the quest to get Australia’s next submarine fleet built here. But lots of derogatory comments about not being able to build canoes along with quips about ‘old technology’ and misplaced technology, can leave those of us on the shoreline scratching our heads. That’s why we have Chris Burns with us this week, from the Defence Teaming Centre, to give us the inside story. And our song this week, I know you’re gonna leave me by Ollie English, has been recommended by our musical curator, Adrian Miller, from Radio Adelaide’s Monday night program, Songcatcher.